UN Chief: Israel’s West Bank Housing Plan is ‘Almost Fatal Blow’ to Peace | It's Only Natural To Resist. 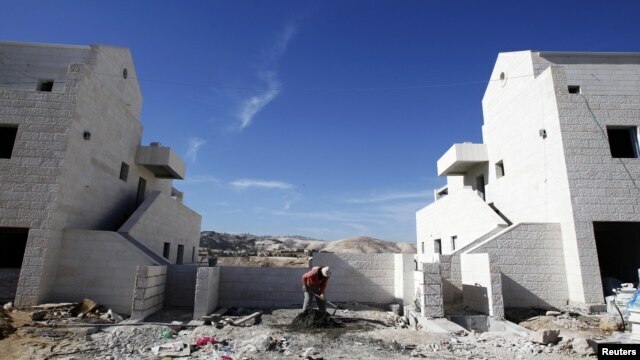 A Palestinian labourer works at a construction site in the West Bank Jewish settlement of Maale Adumim, near Jerusalem December 2, 2012. JERUSALEM — U.N. Secretary-General Ban Ki-moon has strongly criticized an Israeli plan to develop a disputed area near East Jerusalem, calling it an “almost fatal blow” to chances of achieving peace with the Palestinians, who claim the land for an independent state. In a statement issued Sunday, Ban said the potential construction of thousands of Jewish homes in the barren area that Israel refers to as E-1 “risks completely cutting off” East Jerusalem from the rest of the West Bank. Israel authorized the start of E-1 planning on Friday, in retaliation for Palestinian President Mahmoud Abbas securing an upgrade in the U.N. status of his Palestinian Authority to a non-member observer state. The U.N. General Assembly approved the upgrade on Thursday by a vote of 138 in favor to nine against with 41 abstentions. The United States joined Israel in opposition. At a Cabinet meeting Sunday, Netanyahu rejected the status upgrade as a unilateral move that violates Palestinian agreements to negotiate with Israel over the creation of an independent state. He also vowed to continue building in Israeli-occupied parts of Jerusalem and “all places that appear on Israel’s map of strategic interests.” His government approved the construction of 3,000 homes in disputed areas on Friday. In another retaliatory move Sunday, the Israeli Cabinet said it will withhold $120 million in tax revenue that it collects on behalf of the Palestinian Authority. It said those funds will be used instead to pay off Palestinian debts to Israel’s state-run electricity company and other firms. Palestinian officials denounced the move as illegal. Palestinians want East Jerusalem to be the capital of an independent state that includes the West Bank. Israel has occupied both areas since the 1967 Mideast war and considers Jerusalem’s eastern sector to be part of a “united” Israeli capital. The E-1 project would involve linking East Jerusalem with Israel’s main West Bank settlement of Maaleh Adumim. In his statement, Ban said Israeli settlements in occupied areas are “illegal under international law,” and he called on Israel to “rescind” any plans for E-1. Israel claims historic and biblical ties to East Jerusalem and parts of the West Bank. Palestinians say E-1 would make it impossible for them to form a contiguous state because of its location in the center of the West Bank. U.S. Secretary of State Hillary Clinton said Saturday the project would “set back the cause of a negotiated peace,” while Britain and France urged Israel to scrap it. Ban also repeated his call on Israelis and Palestinians to “refrain from provocative actions.” Earlier, he described Palestinian President Abbas’ status upgrade at the U.N. General Assembly as an “important” vote that “underscores the urgency” of resuming peace talks that have been frozen for years. Abbas received a hero’s welcome in the West Bank city of Ramallah on Sunday, as he returned from his U.N. General Assembly victory. He proclaimed that the Palestinians “now have a state,” as he addressed a gathering of about 5,000 people to wild applause. “Yes to the state of Palestine, yes to the freedom of Palestine, yes to the independence of Palestine, no to aggression, settlements and occupation,” Abbas declared. 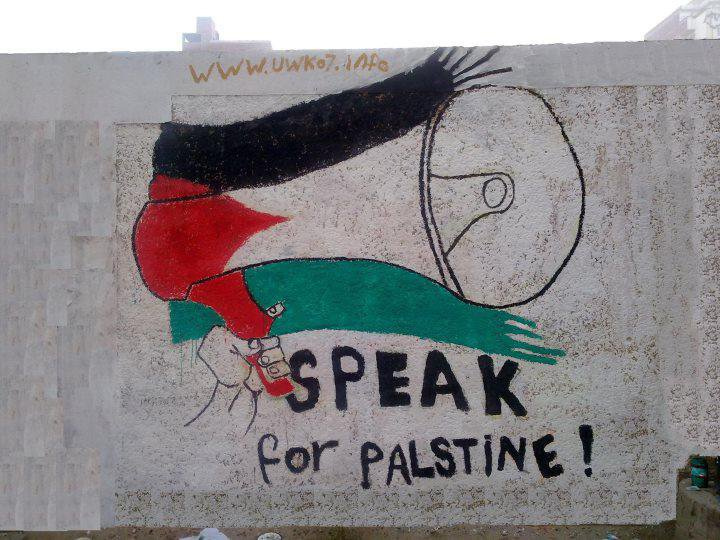 This entry was posted on December 3, 2012 by ispeak4palestine. It was filed under Articles on Palestine and was tagged with Israel, Middle East, Palestine, Politics, United Nations, War.